I'm a simple girl who adores highlight. If I can step out the house, looking like I'm glowing in the eternal, then I will. When my head turns, the glow must be blinding. I never thought there would be such a highlighter. Then TheBalm Mary-Lou Manizer walked into my life. What a momentous day for highlight it was. A cult favourite from TheBalm. Perhaps the packaging played a part in its success. At least, my interest in it. TheBalm's playful packaging of all it's products makes you chuckle, especially theManizer Sisters. Who can deny a pretty blonde? Arrested for being too versatile, if you know what I mean. For 8.5g for B$36.90 (US$24.00), The Mary-Lou Manizer leans to the expensive side. Though for good reason. Sought after, and bathed in praises. It seems every makeup lover had their hands on this product except me. Buying it on Luxola was difficult, since it always sells out. I bought it the instant it was back in stock, and by next day it was out of stock. Described as 'honey-hued' highlighter, shadow and shimmer. It is a gorgeous champagne shade, with a warm, yellow undertone and golden sheen. 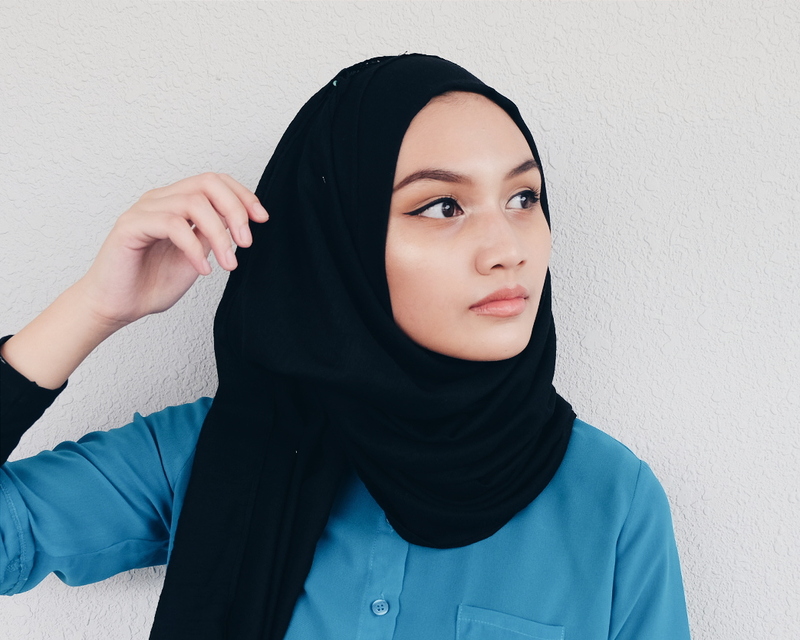 This product is suitable for most skin tones since it's so pigmented. One quick swipe is all you need for a luminous glow over your whole face. This product is all kinds of right. It's smooth, almost silky, texture makes the highlight soft and easy to blend. It provides subtle glows or strong strobes. Because, as stated, this product is POTENT. Bolded, italicised and capitalised for emphasis. It is easy to go overboard with this potent highlight. More than once did I find myself looking like a glitter critter spewed its sewage all over my face. Which I loved but some might not. If you don't, less is definitely more. Build it up slowly with fragile hands and light dusting. A little goes along way with the Mary-Lou Manizer. I apply the highlighter with a small fan brush. Tapping the excess and sweeping it lightly across the high points of my face. That's all it takes for a subtle glow. For the intense glows, a damp sponge will provide the most dramatic effect. Seriously, the glow is blinding. 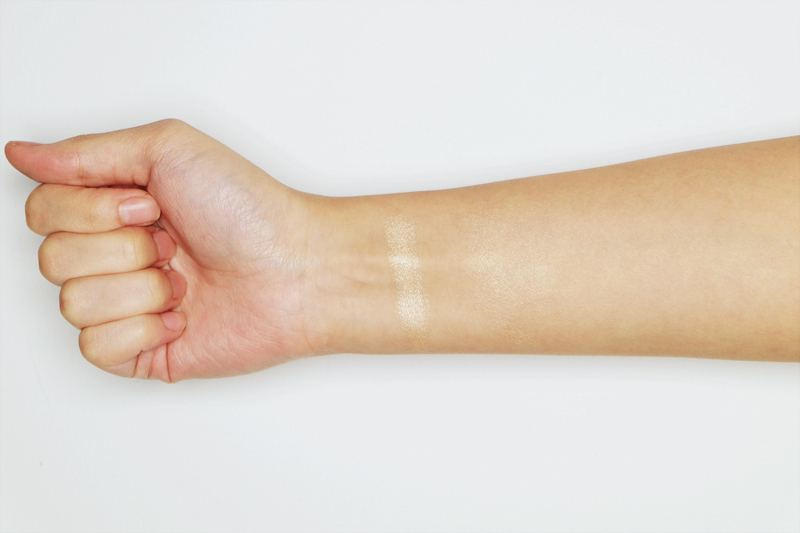 If you're looking for a strong, pigmented highlighter worth the hype, then this is for you. 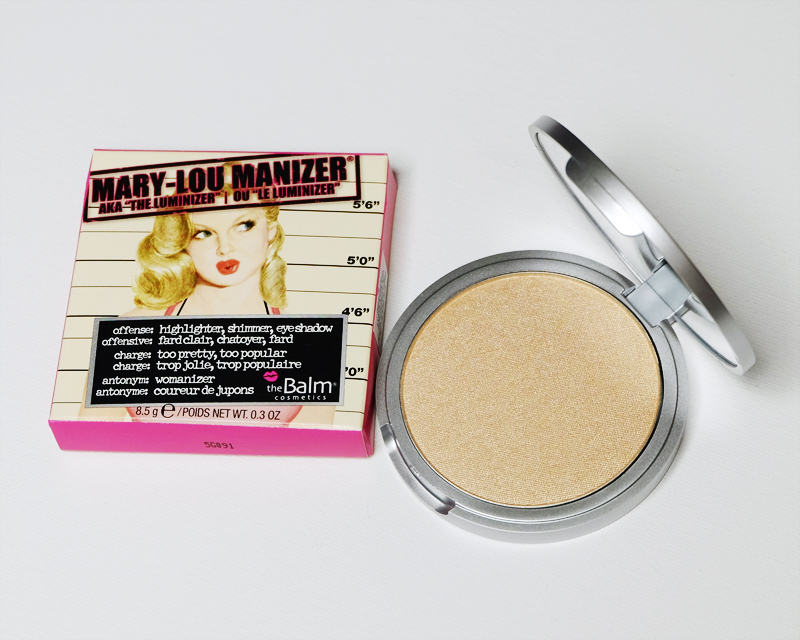 TheBalm's Mary-Lou Manizer is my absolute favourite highlighter as of now. Wearing it every day since I got it in the mail, and complimented every time I do. Long story short. I love it, go buy it. So have you tried to TheBalm's Mary-Lou Manizer? What do you think? Oh wow this particular highligher looks amazing. I definitely need to check it out. 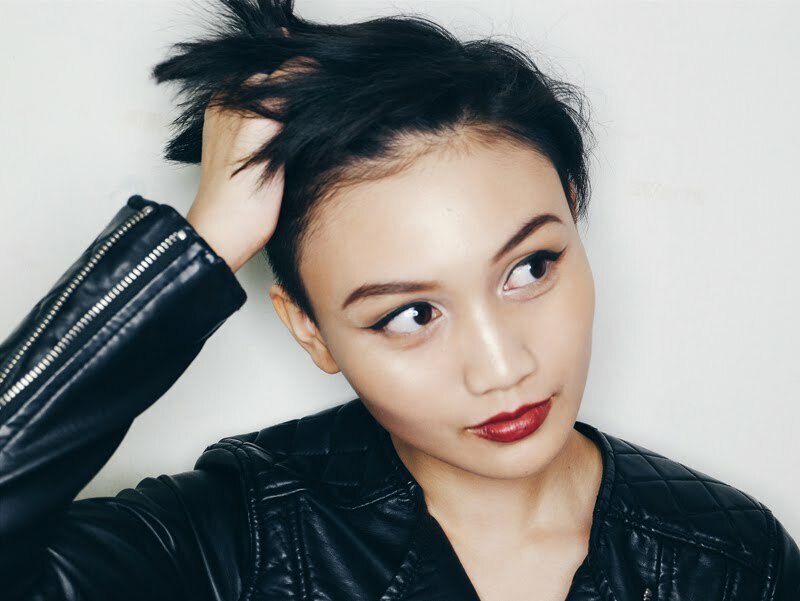 I have seen other ones recommended, but this one seems to work really well with asian skintone that is slightly tanned, so I need to give this one a go! I really like the way you used it as well in these two looks! I can totally see why you're a fan of this product. It looks really natural and imparts a lovely glow on your face. I used to be afraid of highlighter until I understood how it works and how to use it and now it's a must. I'm a fan of RMS Living Luminizer. I love Mary Loumanizer! Their products are always nicely pigmented & have great shades! I love how that highlighter looks on you! You're right the packaging makes me giggle as well ! It looks like such a lovely and well pigmented highlighter ( which I always like ) and it really suits you :) I might go and try this next time I'm near a store that sells it ! This highlighter looks amazing, thanks for sharing! Love it,heard that's good but now I see it! Wow this looks amazing! Every time I try and buy something from this brand it's sold out as well! So annoying!! Mary is in a league of her own but she definitely comes with a price. Although I think she is worth every penny. Edward Cullen in broad daylight can't even compete with her. I am obsessed with highlighters recently and have been wearing one every day! I bought a dupe for this from Hard Candy and I have no complain, it's stunning! I've never tried a powder illuminator, but this sounds lovely! Especially with strobing being on trend (I think you did a post on that too!) I'll have to add this to the ever-growing list of 'beauty products I can't afford, but I'll just eat Ramen for a week.' haha! These products are so good! Absolutely love this highlighter! I have been hearing and seeing a lot of the Becca highlighter which I need to get my hands on. I need sunglasses to look at your face because DAMN that's a freaking bright and beautiful highlight! I have yet to find a highlighter I'm in love with yet, this one is definitely worth checking out! Looks fantastic on you! You look stunning! I still have no idea what do to with a highlighter though! I love that natural glow you have. Your skin looks absolutely amazing!!! I wish I knew how to apply highlighters properly... I'm so terrible with makeup. But, you make me want to run out and buy all the highlighters right now!! Gorgeous. I have been dying to try this for longest time though, its such a pretty tone that would look sooo nice for every day but the Balm's popular products can be so hard to track down. I'll have to keep checking my local Kohls, this is too pretty to stay away from any longer! I love the Balm and I've heard so many great things about that highlighter! I want to use up my Champagne Pop highlighter first before I think about getting another one. I've heard so much about this and never really understood the crazy about it! I definitely need it in my life now! Wow magical! I still have been using Becca Moonstone, but this looks lovely.